Seattle would likely be the consensus “Best Team in the NFL” going into this season if not for one massive weakness. That weakness will be addressed now so we can get it out of the way and then marvel at the rest of the roster. The Seahawks might just have the worst offensive line in football. The team’s five projected starters (Bradley Sowell, Mark Glowinski, Justin Brent, Germain Ifedi, and Garry Gilliam) are barely even passable as every-down NFL players. Marked weaknesses in pass protection are enough on their own to earn a player that label, but it gets worse. None of those five are strong in the running game either. With a lesser quarterback, this offensive line would be bad enough to doom an offense all on its own. Fortunately, Russell Wilson was one the NFL’s best quarterbacks in 2015 and only figures to get better in this, his age-27 season. The book is in on the Seahawks. Everyone knows that the offensive line is the one hole on this roster. As you’d expect, defenses routinely send blitzes. Though all quarterbacks are better throwing from a clean pocket, no quarterback is better at punishing teams that blitz than Wilson. 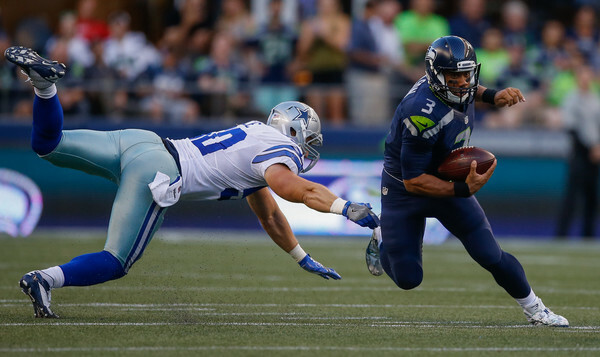 Wilson’s legs also give opposing defenses another thing to worry about. He’s great at buying himself time as a passer and picking up yards on scrambles and designed runs. 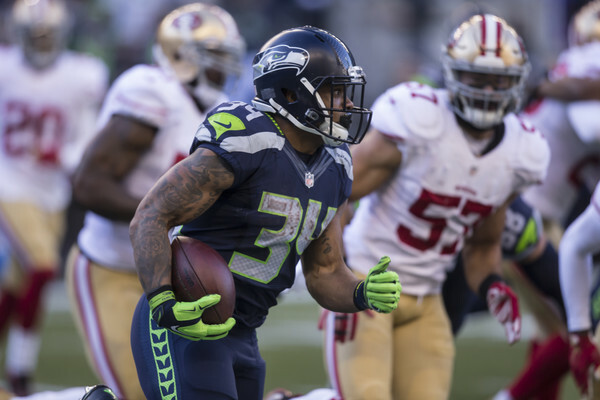 No player personified the Seahawks recent success more than Marshawn Lynch, but Thomas Rawls had an impressive rookie season he should be able to build on. Like Wilson, Rawls showed last year that he was good enough to overcome many of his offensive line’s shortcomings with his elusiveness. There isn’t much depth behind Rawls, though, so the running game could be in big trouble if he gets hurt with Christine Michael waiting in the wings. It’s possible that one of the rookies Seattle has in-house could emerge from nowhere like Rawls did in 2015, but that’s tough to count on. Skilled passing targets have been a recurring problem in Seattle’s recent run of success, but those days may be over. Doug Baldwin had a breakout campaign in 2015, catching 14 touchdowns, and rookie Tyler Lockett looks poised to be a very dangerous big play threat. Baldwin almost certainly won’t catch 14 touchdowns again, but whatever dropoff he has may well be off-set by Jimmy Graham. Jimmy Graham is too talented and too good as a receiver to struggle the way he did last season when he was on the field. With a bit of health luck, there’s every reason to think he could reassert himself as a top tight end. 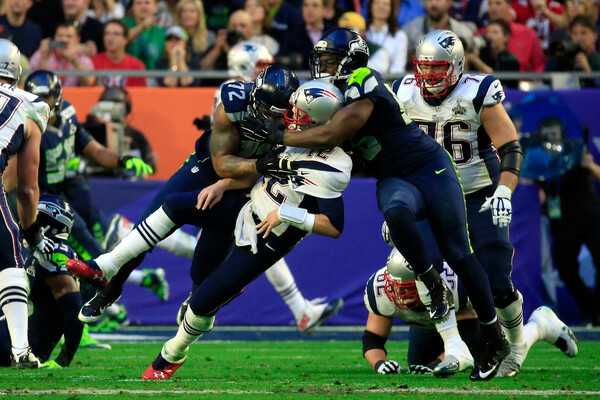 The Pete Carroll Seahawks have always featured nasty defenses and this year will be no exception. Defensive ends Michael Bennett and Cliff Avril are both among the best of the best at getting to the quarterback and causing problems in the backfield. The interior of the D-line is less outstanding, but there isn’t really a weak link here. Defensive tackles Ahtyba Rubin and Tony McDaniel are solid, but probably made to look better than they really are by this defense. There isn’t a pair of ends in the League that occupies more attention than Bennett and Avril, and the amount of attention they must be afforded by opposing offensive lines makes Rubin and McDaniel’s life easy. Bennett and Avril alone elevate this unit to elite status. The personnel at linebacker has a similar talent profile as the defensive line. Mike Morgan and Bobby Wagner are both good, solid contributors, but Seattle’s linebackers are made great by K.J. Wright. Wright is one of the very best players at his position. Wright is very good in run support, but where he really shines is in pass protection against Tight Ends and slot receivers. He is nearly unparalleled among outside linebackers in that area. Seattle’s secondary is different. It is not filled with good players and then one truly special talent that is good enough to make them elite. Seattle has three players in its secondary among the very best at his position. 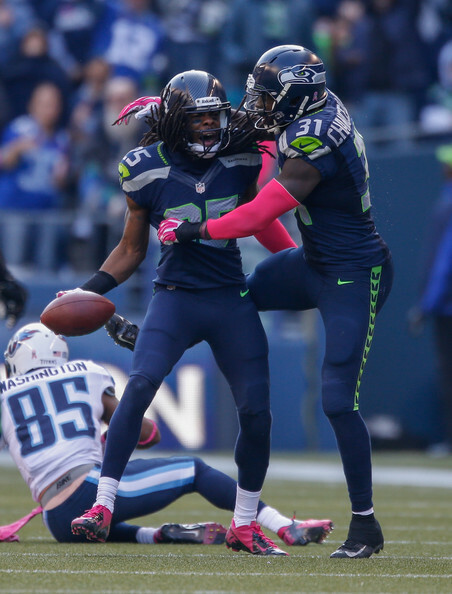 Cornerback Richard Sherman is the best player of those three. He’s a physical monster who uses his size and strong football acumen to almost completely take away a chunk of the field in Seattle’s preferred 3-deep zone. He’s not the fastest cornerback out there, but he still manages to stay with receivers in man coverage as well. In Earl Thomas and Kam Chancellor, Seattle has the best safety pairing in the NFL. At his best, Thomas is among the best defensive backs in football and Chancellor has been coached up into a truly excellent strong safety. The only question here are the 2nd and 3rd cornerback spots in Seattle’s defense. It seems that other teams pilfer those spots (Brandon Browner, Byron Maxwell), but this year is different with Jeremy Lane keeping his 2015 roster spot. He won’t need to be great, but with such quality all around him in the secondary, he will need to be good as opposing offenses will try to pick on him all year. Russell Wilson continues his superhuman performances against the blitz and the offensive line’s inefficiencies don’t even matter. The defense is the NFL’s best. This is the best team in the League. Seattle’s offensive line is very worrying for all who believe in the importance of good blocking to offensive success. Russell Wilson’s proven abilities against the blitz alleviate many of those concerns, but they don’t eliminate them entirely. Last year, this offense was generally very good despite their bad line, but there were several games where they struggled. One can’t expect Russell Wilson to be on top of his game every single week (no quarterback is), so this year should be more of the same. There’s nothing that could happen to the defense barring injury Armageddon that could make them anything but one of the best defenses in the League. The sky’s the limit for the Seahawks. They’re going to be very good at least, the best team in football at most.